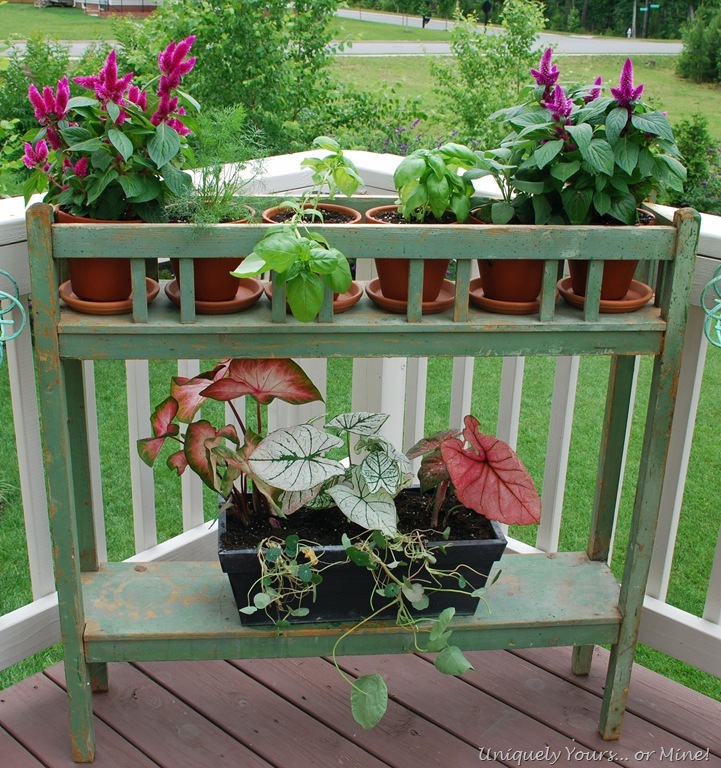 New Deck Planters & Plants – Uniquely Yours… or Mine! I just love plants.. and I especially love interesting planters and pots.. I don’t love watering them everyday, but doing so makes me take time to stop and smell the flowers.. which I do love! I picked this trio of planters up last Thursday while out thrifting with a friend of mine.. so glad they fit into her car They happen to all be a similar shade of pale green… score! We originally had a vintage table & chair set in this space, but we never really ate on the deck. We do enjoy sitting out there and enjoying a glass of wine before or after dinner though! So we removed the table set (to be listed on CL soon) and added these planters. We are in a very new neighborhood, 4 +/- years old, so privacy is a concern with the lack of mature trees.. so while we wait for the trees to grow, adding these planters as screening should help. As a bonus they also give us something pretty to look at from the Family Room! See the neighbor’s houses through the trees.. those are our Birch trees which are growing quickly and will eventually give us lots of screening and shade too! Planted in the metal planter’s (left to right) are Archangel Pink Angelonia, Creeping Jenny, Black Sweet Potato Vine, Little Devil Fire Marigold’s.. funny I didn’t realize until now that I had Angel’s & Devil’s in the planter! I only purchased 1 creeping Jenny in order to split it in half when I was ready to plant them. They will brown in the winter but will come back happy in the spring if you cut them back down to the base of the plant… This is one of my all time favorite vines! All of the paint and chipping on these planters was there when I bought them.. how lucky am I? I so loved the fact that I didn’t have to do anything to them but plant the plants! For the planter above we just bought six inexpensive clay pots and saucers. Planted in them, from left to right, is Celosia ‘Dark Caracas’, Dill, Basil ‘Genovese’ (x2), Sage and another Celosia. 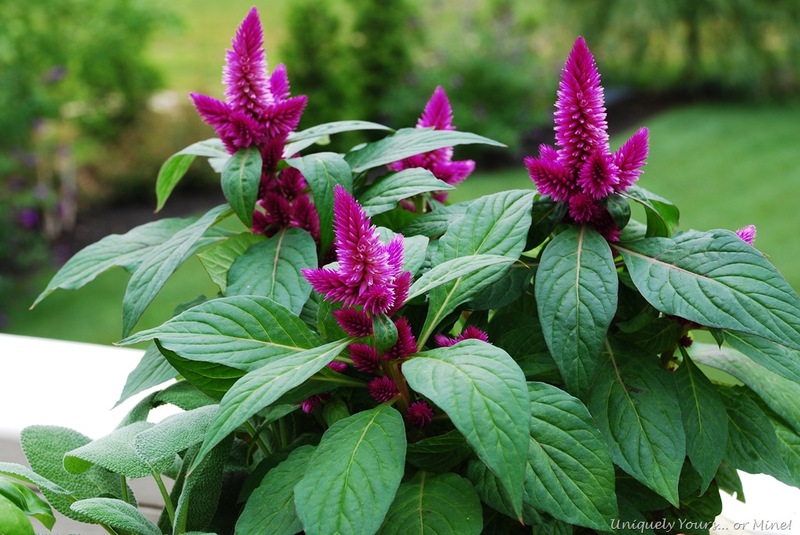 The Celosia is SO gorgeous.. and a beautiful shade of fuchsia, I just love looking at it! 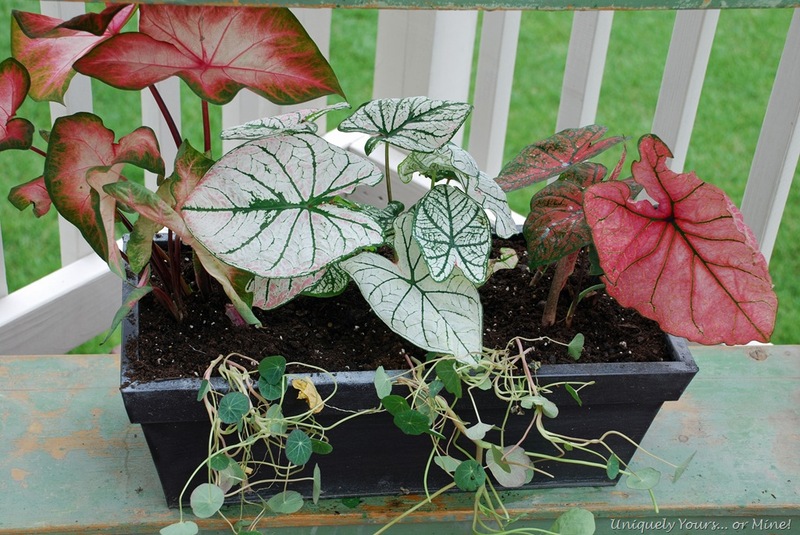 This planter I already had on the deck but I removed the winter plants and planted 3 Caladium and 3 Nasturtium (edible). This very small change has made a big difference on the deck! 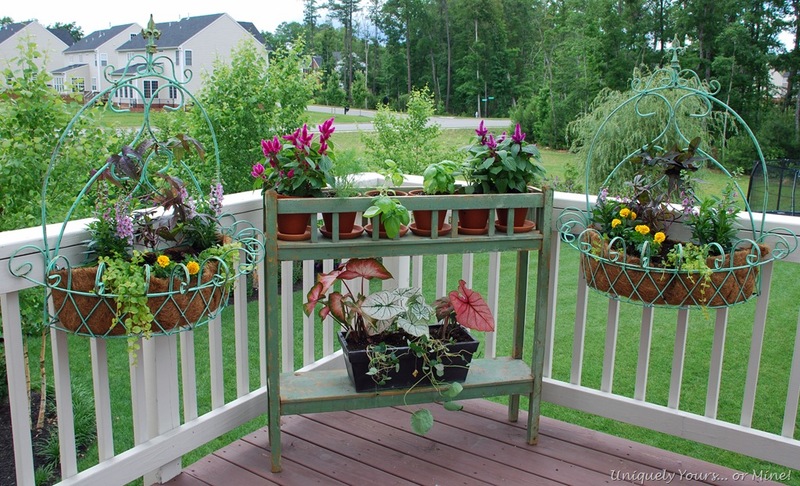 I love looking the planters and the beautiful plants we have chosen to grow in them! My sister is coming to house & dog sit when we go on vacation this summer… won’t she be thrilled with all of the watering she will have to do?! Sorry KK ! I hope you guys are all enjoying a great planting & growing season as well! Love the planters with the marigolds. They are simply gorgeous. Love them!! 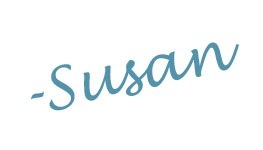 Susan, your planters are wonderful! 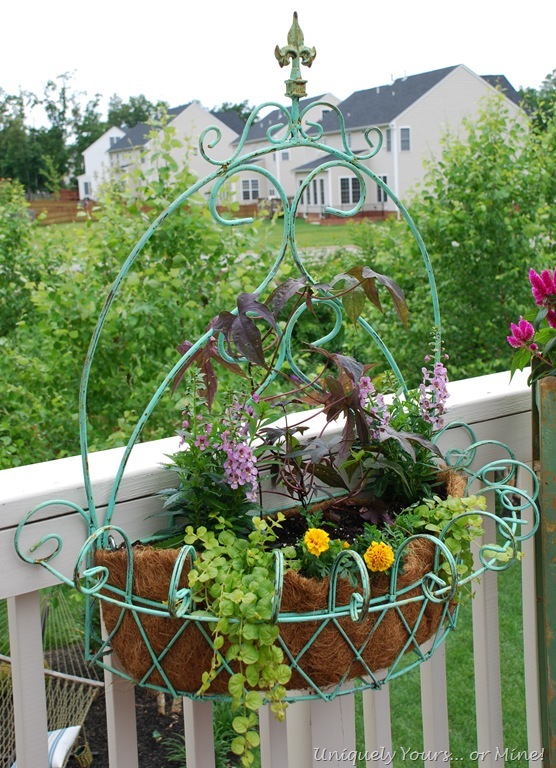 I always love wrought iron anything and the wooden one has so much charm with that chippy paint. What a great find and they look so pretty with all your flowers. Your planters are gorgeous. I use creeping jenny in a lot of urns around here. One of the jennies crept out of the pot and is now all over the patio stones. 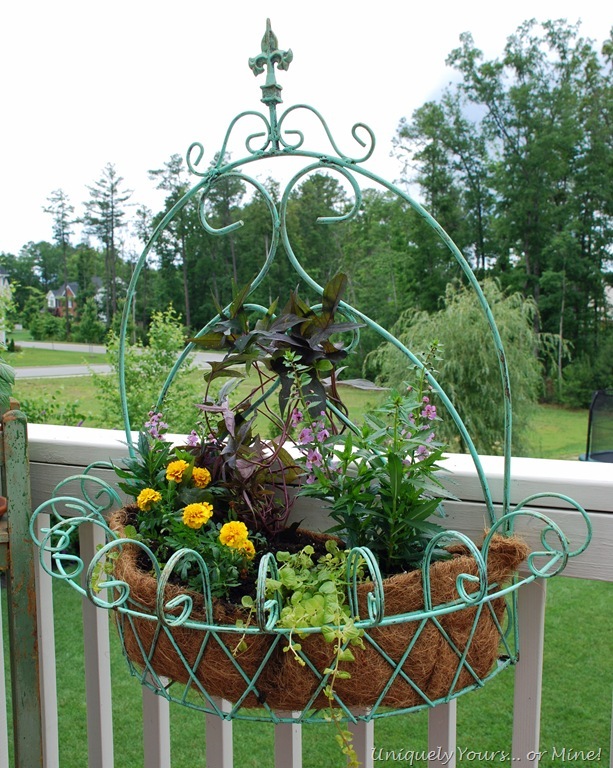 What a pretty trio of planters to enliven your outdoor space. Score!